how much is it to replace a laptop screen - How Much Does It Cost To? Circumstances arise when you will be required to replace your laptop’s screen. Don’t worry, you are not alone. Year after year, there are about three million laptop users who break their computer screens due to accidental dropping. Good thing it is possible to replace the screen to make the laptop usable again. However, the question is how much it costs to fix a laptop screen today. The typical cost of replacing a laptop screen ranges from $250 to $1,000. This price includes a new laptop screen as well as replacement services. Laptop screen. The size of your laptop screen can greatly affect the cost of a new screen replacement. Fourteen inches screen are basically cheaper as compared to wider laptop screens. Also, more often than not, LCD laptop screens are cheaper as compared to LED laptop screens. Brand. Branded replacement laptop screens can cost between $600 and $900. 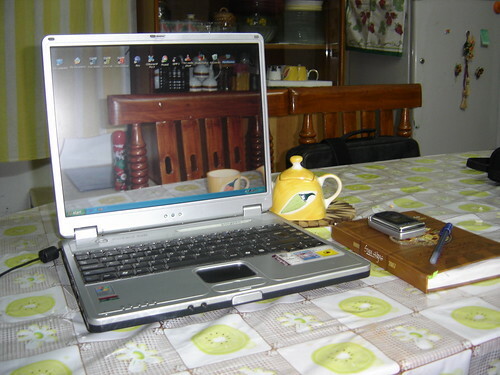 Other brands of laptop screens can be purchased for half or more than half the price of the original price. For instance, a 14-inch laptop screen costs $295 in retail only as compared to its usual price of $600 the least from branded manufacturers. Type of repair. If you go to professional laptop repair specialists, expect to pay more for the laptop screen replacement. Doing the project in a DIY fashion is basically less expensive as you save on the cost of labor fees. Warranty. Laptops still covered by warranty can be given a cheaper screen replacement by the service center. Basically, the user has to pay only for the cost of the new screen and the service fee is waived. If you plan to do the replacement yourself, shipping of the new laptop screen can be an extra cost. Make sure a laptop screen replacement is really needed. In some cases, the problems in the screen’s performance may be caused by other problems and not the screen itself. You can do your own test at home by connecting an external monitor to see if all other components of the laptop still work. You can save a lot of money on the cost of a laptop screen replacement if you do it yourself. However, take note that this is a serious process that must be done with care and efficiency to ensure the replacement will work. Hence, if you doubt your capacity to do the replacement, it may be worth it to pay professional labor fees in exchange for a successful replacement. Allow only qualified professionals to service your laptop. As much as possible, go to the manufacturer’s service centers. The servicemen there are all trained specifically in dealing with the type and model of laptop you have so you can be guaranteed good results. If you are considering DIY laptop screen replacement, there are a lot of how-to guides in the Internet. Follow the steps closely to make sure you get it done appropriately.